HOW SHOULD I ACT IN THE AUDIENCE WITH MY EX-HUSBAND? Dear brothers and sisters of light, it is with great love and gratitude that I come today through these dear brothers, who give us this moment to ask one more question to the Superior hierarchy. Dear brothers and sisters, June 8 will be a very important date for me due to the hearing that will happen to my ex-husband, and it is making me very anxious and even afraid of what is behind this hurt, this rancor and feeling, somehow hit me, what he has nourished for me so many years? What can I expect from this 8th day audience? Can I believe that I will be with him closing a karma that surely exists between us, and I have come a long time, since the separation praying to God that this karma has come to an end? What would be my best behavior with him in the audience, so that our karma is in fact closed, but he does not fail to fulfill his role of father, which does he trie to avoid? Gratitude, beloved ones! I am prepared for the change in my evolution so that the best can happen. My greatest desire is to heal myself for the definitive of everything that has been generated in the emotional. All the fears and anxieties that he has generated in me and that even today, even unintentionally, makes me emotionally involved with him. I would like the bottom of my heart, the total cure for all this, and also the cure for my karmic connection with it. I do not feel any contact with him or friendship, and I feel in my heart that I have the right to choose. How do I heal all emotional wounds and follow life without taking my day to day? Daughter, from the first moment you decided to separate from your ex-husband, carries the guilt of being the agent promoting the separation, which actually made the division happen. You blame yourself and charge yourself for fearing that he no longer represents the position of father, which in your view, you would be harmed by your fault. You allow the entrainment of emotions, of anger, of hurt, of his part, based on your own guilty feelings. Realize that the only one who can actually finish to this relationship, so that it does not become something that you must then repeat to redeem as learning, it is only work in you to release guilt. Deliver and entrust to God, to your guides and protectors, all that may come. Do not fear what can happen, stop to be you from the present, fearing what may happen in the future, which is in case he abstains from representing a paternal posture. He uses that emotional trigger to reach you and cause you to tie him sentimentally, because he will forever blame himself for the acts he committed. Notice that he is living in this incarnation in the position of father, and it is entirely his responsibility to be that father who is part of his own experience. As long as you allow him to use that fact to reach you, he will continue to be a part of your life, and the relationship, the cycle, will not be over. It's just you, daughter, who still carries bonds in this relationship. You carry because you have not yet learned to perceive, how strong and sufficient you are to yourself. Who cannot embrace external problems as a mother, and prevent the relationship between father and son be shaken by the attitudes of any of the parties involved. You see, daughter, you're just here to play the role of mother. The cycle with the ex-husband is finished. And I tell him: when he comes across the strong and guilt-free woman who will be in front of him in the next few days, he will lose his strength, he will regress in his destructive and vengeful behavior, he will be reduced to a mere human being, Who rebukes his own feelings hidden within a cloak of fear, within a shield, created by himself, of fear and revenge. This realization that he is this man involved in the feeling of hatred is only an illusion created by himself to protect himself from something much greater and more painful than he must face which is the pain within his own heart. From the moment you change your posture in the face of all this, daughter, you will realize how it will also benefit, because day by day you will be able to dissolve this shield and you will be able to see what is happening within itself. At first, this may alienate him from the relationship in which he must assume the paternal position, but this will be only temporary, until he has internalized long enough to understand his own emotions. This is also the healing opportunity for him. So, dear daughter, just watch the facts, let them unfold. Let everything happen in the most natural and perfect, and do not fear. Just trust that everything will happen at the right time, in the perfect way and promoting healing for all. Dear Masters, we are living the most important moment in the history of our beautiful blue planet called Earth, a precious jewel located in this quadrant of the Milky Way. I have the honor to watch and participate in this unique moment in the Universe when our Mother Gaia will finally free herself from the dense three dimensional energies by climbing a step in her evolutionary scale. While we, humanity, will go through the process of "separating the tares from the wheat" so called by the Master Jesus. No one knows for sure who will be tares or wheat. Today, with relative awareness of the criteria that lead us to the path of love, I continually seek this path, struggling with my moral shortcomings and each day trying to qualify me to remain on the New Earth. When we awaken to the divine laws that govern Life, the wheel of reincarnation already charges its tribute for the often undue use of free will. The external "control" of the agents of darkness and the veil contribute to keeping earthly humanity almost alien to the Divine Truths for millennia. The topic of spirituality has always attracted me and I have known through the books the teachings of many of the Masters, including several who answer our letters through the pipes of Brother Thiago Strapasson. 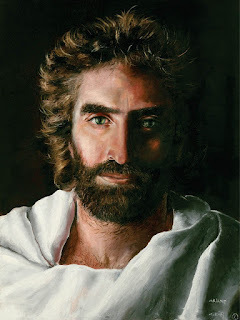 More recently I have discovered the Seeds of Stars blog and I follow daily the latest information on the planetary transition commanded by Beloved Archangel Michael, Master Jesus, Saint Germain, Mother Mary among others. The reason for this letter is a great concern that disturbs my soul today and I humbly ask for guidance from the wise Masters. Today aware of some mistakes in the past, I try to correct situations of family relationships especially in the economic / financial field and to the extent possible improve what is possible. The main reason for my concern is an adult son who has not yet found his way and lives in my care which causes a lot of expense, discomfort and worry. Recently I was directed to let you follow your path, because my care was harming my evolutionary learning and especially his. By his behavior seems to suffer from mental imbalances, because at almost forty years does not date, does not work, rarely leaves alone, lives annoyed with life, etc. 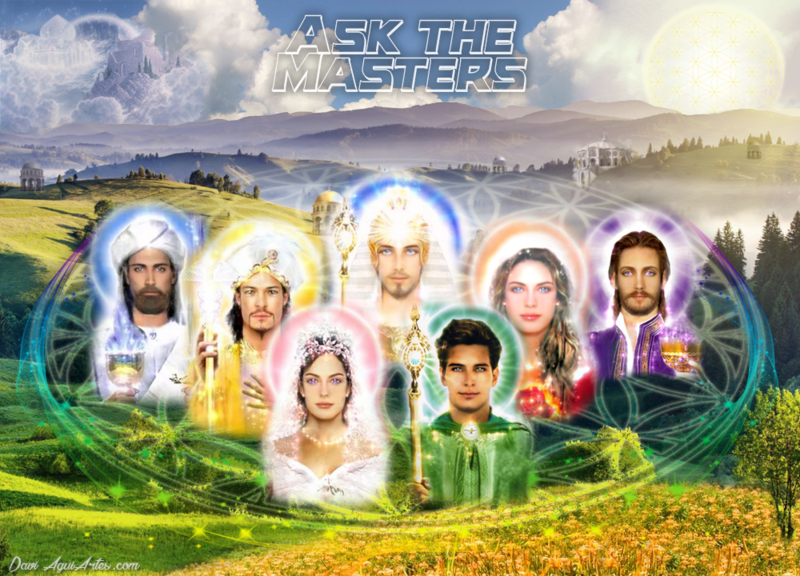 I ask the dear Masters: how to act in such a situation, how to leave someone in this situation to their own fate? I believe that being my son I have some responsibility in helping you, but how to do this without harming your evolution and mine? Gratitude. Daughter, what shall be done has already been told to him. He has already been guided in the mold of spirituality. The fact that you insist on receiving an answer for this brother, will make you go only on this journey, by your decision. If you so decide, it is your free will to give him an answer, but it will be by yourself. For now, we, the spiritual guides who have been chosen to accompany him on his journey, have no more words to say, but only that he learn from experience, which must meditate upon the words of the teachings which he receives. What makes him seek more answers again is the fact that he does not accept many of the signs that we take to him and also the answer he has already received in the past. The ego is what moves him to not accept everything that is placed, and insist on maintaining a positioning of the personality that blocks him from hearing us and transcending this dilemma with the child. He is well supported, and we are with him always, to guide him in choices and experiences, but it is up to him to accept us. You can send him that answer. I am the manifestation of the Divine Presence I Am with Him. WHY DID I LOSE EVERYTHING OR WHAT I CONQUERED MATERIALLY? Mercy. Dear and Beloved Masters. Gratitude for this opportunity and here I am for a better understanding of all the difficulties, financial shortages and limitations that have gone through the whole existence in this life. Now 62, I find myself once again at a very delicate time of financial scarcity. Here on our planet money is a precious commodity to live up to our daily needs and throughout my life in this incarnation, it has always been restricted and therefore I am a very hardworking and committed person. Everything I conquered materially, was even cruel. Today, I find myself in a very delicate and needy situation in order to carry on with dignity. I cannot fail to remember the phrase of St. Augustine which says: Without the least material welfare, one cannot even serve God. I would like to receive an encouragement, an understanding, a comfort to proceed with more security because I know that our Mentors never abandon us so that they can have more strength to continue the journey of life. Everything I have longed for in this life, I have not been able to, and God knows I am not greedy, I am content with the simple and beautiful life gives us, but right now I cannot see a Light at the end of the tunnel. With much gratitude and love, receive all the affection of a Sister who is sad. I hold you. Sweetheart, in the face of all the obstacles you faced in life, you carried with you the fear and the blockade that prevented you from allowing the free flow of events. On many occasions, learning has been placed before you, which, however much the first look meant the hard path of suffering, you chose to deviate from learning and walk the safest path materially. And then you prevented from living certain experiences that would be essential to bring you all the material abundance, but in a definitive and not provisional way. On several occasions, he had the opportunity to voluntarily give up personal achievements, to the detriment of something greater. But this greater something would not be the increase of the material, but rather, when it could bring spiritual growth. It is necessary, therefore, to live the experience that lives in the moment, because it brings with it the possibility of spiritual growth, and it is when it begins to look within itself. But you will not be able to transmute this lesson until you learn to look at learning with gratitude. Looking at the opportunities for spiritual growth, obtained only from the material loss you experienced, you, my dear, thus create a reality within your mind that repeats to itself that you are right in your interpretations of life's events. Ruling on known phrases of Masters, to justify what she does not want to look within herself, but which are only distorted interpretations of the learning that she uses as a reference and endorsement of her pains. In order to transcend this whole phase, bringing only the learning that is inserted into the experience, you must turn to yourself. Leaving aside all the arguments, justifications and explanations you created for yourself, but allowing yourself to completely empty. Then reach the level of understanding that will bring wisdom before all that you have experienced. And then you can finally realize how blessed you are for the opportunities you have had in your entire life, and you will move on to a new phase, still in this incarnation, where you will draw abundance. But he will no longer seek it; it will come without even noticing, drawn by the light that will radiate from his heart, that he will have met his own truth. HOW TO HELP MY PARENTS? HOW TO PROTECT ME FROM ENVIRONMENTAL ENERGY? THE SPIRITS I FEEL ARE FRUIT OF MY IMAGINATION? Hello, Masters! I have received from you that I already have contact with higher beings, but lately I am not feeling it. What can I do to improve my connection? I know that negativity disturbs me a lot, but also how can I be able to raise my vibration more in the day-to-day running? I also often feel tired and feel that I draw a lot of energy from the environments and the people. How can I protect myself more? How can I help my parents more? I feel I need to do more for them, my father has the mediumship very uprooted and is no longer aware of it. My mother walks very weak and without energy. I humbly ask for your guidance. Masters, I feel many things and sometimes I feel many spirits near me. Is this real or something in my head? Is this Indian that you see with me from my imagination? What did he tell me is real? How do I distinguish if it's not just imagination? Beloved daughter, so that you can help everyone around you and yourself, establish some moments of interval in your daily routine, to meditate and silence the mind. You, during the common routine, which is also true for so many others, take contact with various energies, from your parents, from people of the work, in the street, and all these energies are divergent. You will learn to distinguish them as soon as you silence yourself, and learn to understand your own energy. You, like everyone without exception, have contact with elevated beings. High beings are yourselves. Learn to see in the other a master in your life, learn to recognize the opportunities for learning embedded in your daily relationships, silence your mind and become an observer. Observer of the environments, the facts, the people. Just as it is able to connect with any Being of any level of elevation, so are all without exception. Our beloved Master Jesus and Mother Mary, attend brothels, prisons, hospitals, extend their light and their love to all, without exception. For all of you, inserted in the experience of matter, are foci of light. But you will only be able to realize this from the moment you silence yourself. I did not come here to bring you the answers you wanted to hear, but rather those that are necessary for your own growth. You are in constant contact with all beings, energies and experiences, which are necessary to show your way and answer all your questions. Just mute and listen. When you reach that goal, daughter, you will realize that many of the problems and concerns that populate your mind at this time, and which are embedded in your questions, will no longer be a cause for concern, for you will understand that the process of life is perfect just as it is. The energy that moves the Being, toward wanting to change things, to move at all, to interfere, to act, even in environments where everything is already perfect, is the ego. What makes you feel unwell when you see your parents going through their own experiences, and also makes them feel bad when they feel the energy of the people, is only the movement of energy contrary to love, which still flows within you, are called the ego. The ego is the energy that drives fear, worry, and prevents you from hearing the call of the heart. When you leave the ego to the detriment of the connection with the heart, which will be obtained only from silence, you will realize that everything you see today as wrong will become right and perfect in the most beautiful manifestation of divine life experiences.